When: 10 a.m. to 4 p.m. Tuesday through Friday, and 1 p.m. to 5 p.m. Saturday and Sunday. The museum is closed on most Mondays, but will open on certain holidays. What to bring: Admission is $5 per adult and children, $4 for seniors. Family memberships are available for $60 per year, but consider buying a Super Family pass for $125 which will get you and your gang into Chicago’s Museum of Science and Industry and Field Museum, Normal’s Children’s Discovery Museum, and many others, for a whole year. Watch for special free days and special event days on our calendar. 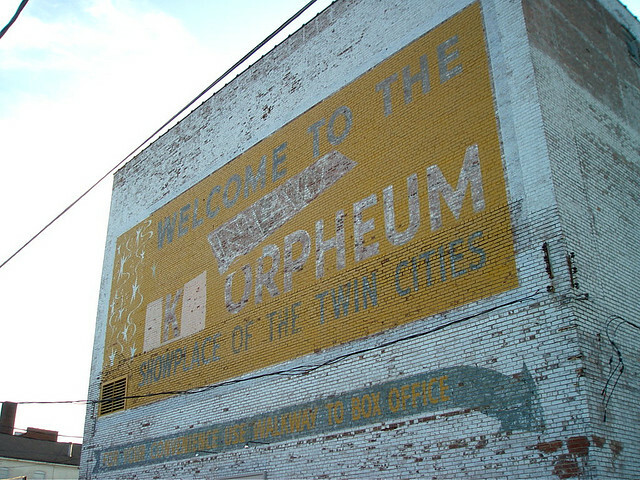 The Orpheum is a great place for an indoor picnic lunch or a simple home-packed snack. There is a designated eating area upstairs, and visiting it allows your kids to check out some of the museum’s additional exhibits. Last, but certainly not least: don’t forget quarters to feed the meter. I’ve learned this one the hard way. (But parking is free on the weekends). Tips for your visit: Rarely, we have found the museum to be crowded. It’s never been so bad that we’ve chosen to leave, or even hampered our visit, but keep in mind that it is a popular destination for school trips. Calling ahead at 217-352-5895 may help you avoid these large groups, if that’s what you’re hoping to do. Rachael’s take: I have a particular fondness for the Orpheum because of its size. When it comes to museums and zoos, as far as I’m concerned you can keep the big, crowded, hard-to-navigate ones; I’ll take the smaller versions that pack their delights into a much more manageable space. And, the Orpheum is small. It fits into what is essentially the lobby of a grand old theatre, which is currently used only for museum/private special events. The unique architecture sets the tone for whimsical, lovingly-crafted exhibits which have yet to grow tiresome for my two school-aged kids. Among their favorites: a veterinary clinic complete with a “working” X-ray machine, a tugboat with an interactive video display, and a seasonal outdoor dinosaur dig that bests any of the ones we’ve explored at larger children’s museums. Resident critters include turtles, a corn snake, bearded dragons, hissing cockroaches and a tarantula. There is a puppet theatre and a rushing water flume that little hands love to dam up with foam blocks. The more I write, the more I realize that the Orpheum really does pack a lot into a little space. I’ve only listed about half of what they have to offer, but I’ll leave it at that as a bit of a tease for those who’ve yet to explore it. See it for yourself; my hope is that you and your clan will love it as much as we do. Does your family have some Orpheum love? Tell us about it in the comments! Rachael McMillan just took part-time job number 5,482: teaching sixth- and seventh-grade history at Campus Middle School for Girls. She also tutors at The Reading Group and serves as the education coordinator for Ten Thousand Villages, a fair trade retailer in downtown Champaign. She is totally in love with her Chambana life, which she shares with husband Scott, kindergartner Kate, and first-grader Jack.